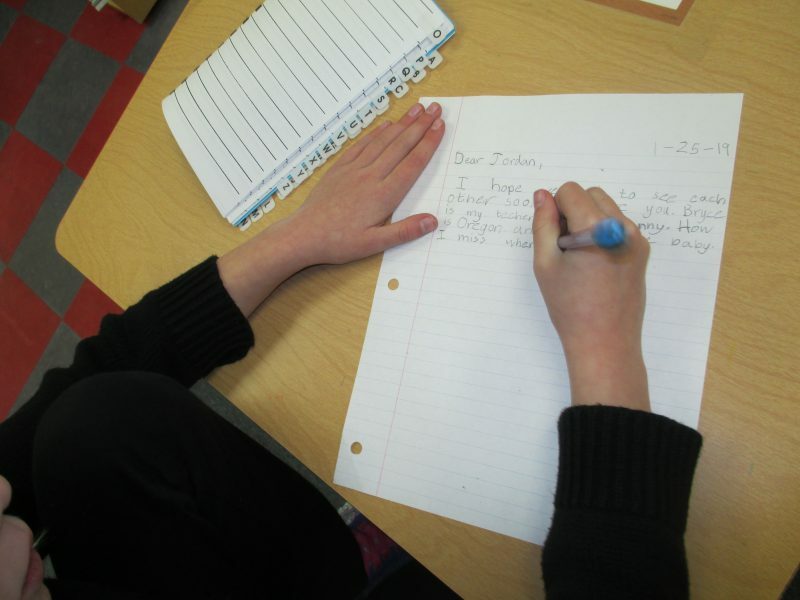 Today we started learning about a new kind of writing – a friendly letter! Yes, we know it is a dying art, but still feel it is important for kids to learn. And what grandparent, uncle, aunt, or cousin doesn’t like to get a letter in the mail? We learned the parts of a friendly letter and talked about what kinds of things you might want to include. Then they gave it a try! When they are complete we are going to be asking for addresses so we can actually mail them out. 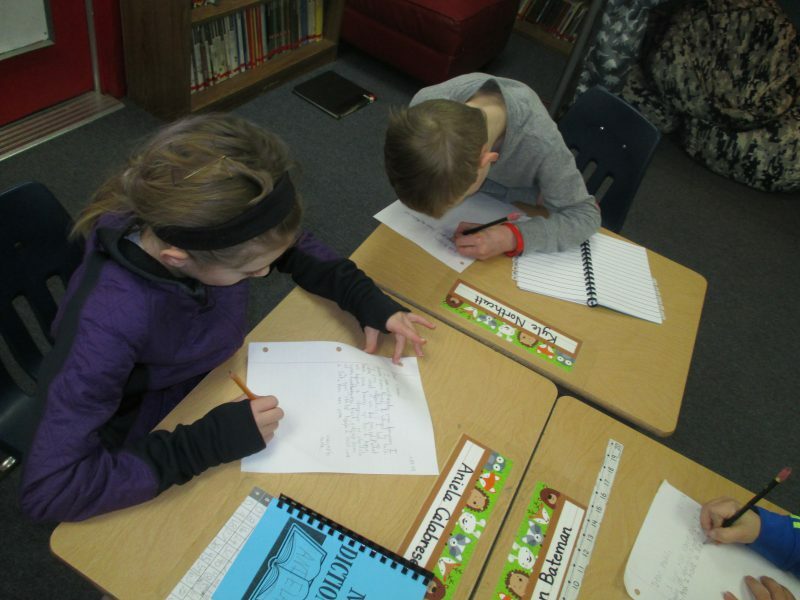 The kids seemed really excited about this chance to write to a favorite relative or friend! 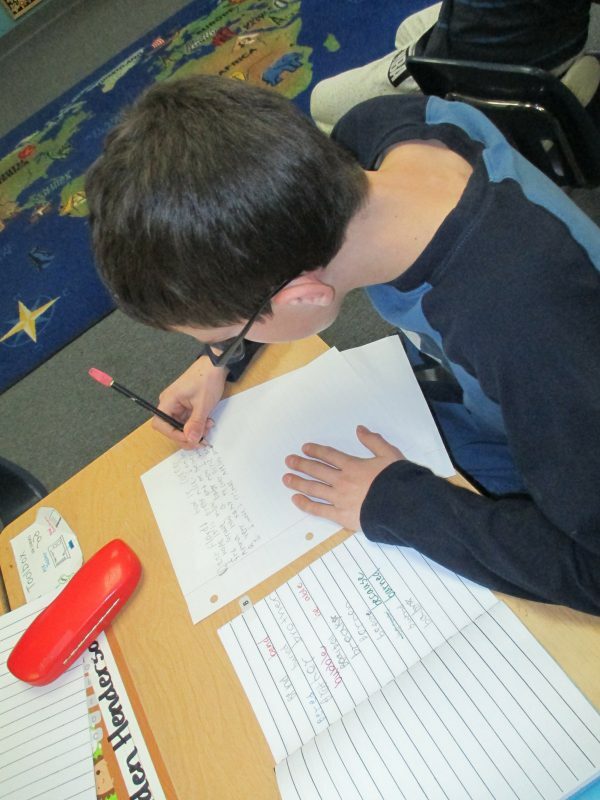 We use our personal dictionaries to help with correct spelling during writing activities. We are also working on using a sheet of lined notebook paper appropriately – large space on the top, holes on the left, keeping an eye on that pink margin line!